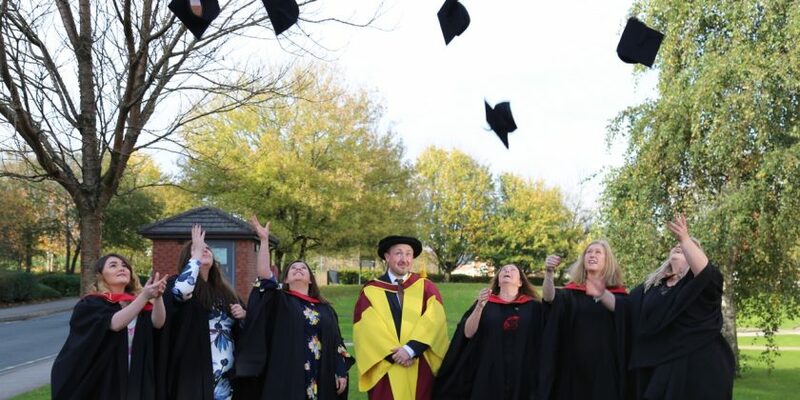 The first of Wrexham Glyndwr University’s 2017 graduates collected their awards across two ceremonies held at the William Aston Hall yesterday. Students from Built Environment, education and psychology were presented with degrees on Wednesday morning, followed by business school students in the afternoon. Five ceremonies are being held in total across three days this week, marking the end of years of hard work and dedication for hundreds of students. Professor Maria Hinfelaar said: “Gaining a university degree is one of the highest personal achievements and you should be proud of how far you have come. Congratulations and well done. Former Wrexham Glyndwr University lecturer and board of governors member Collete Bleakley received the first honorary fellowship of 2017 from Deputy Vice Chancellor, Professor Claire Taylor. Colette has over 30 years’ experience in education and professional development as a secondary school teacher, further education lecturer and mentor of student teachers. 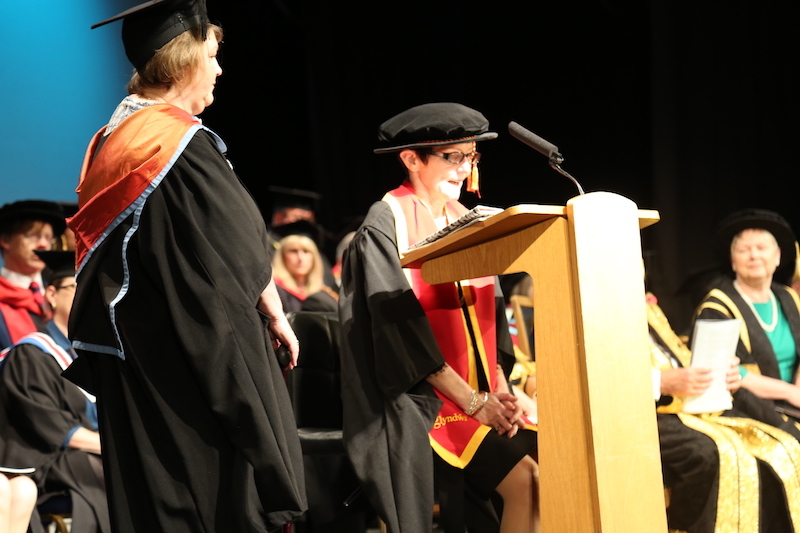 Speaking after being honoured for her services to Wrexham Glyndwr University, Collette said: “It is a privilege to have worked here, to have worked in education and to have worked as a teacher. It’s also a privilege to share this day with you. “Wrexham Glyndwr University’s mission is to inspire education and enable success and the university is going from strength to strength. Brian Howes OBE, former President of the European Business Division of Kimberly-Clark Corporation in Flintshire, collected an honorary fellowship in the afternoon. Brian served as chair of the Board of Governors at Wrexham Glyndwr University from 2007-2009, a period covering its transition from the North East Wales Institute of Higher Education. He said: “I really enjoyed my time as Chair of the Board of Governors here. Today makes me think back to the days when I was a student and how much has changed. 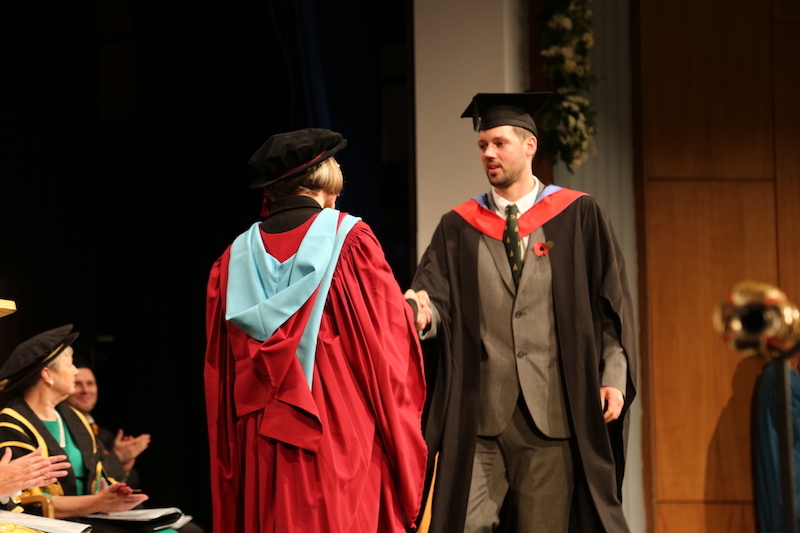 Students from business collected their degrees at the second awards ceremony on Wednesday afternoon. Two more are being held on Thursday, before the conclusion of this year’s graduation on Friday morning.